HOUSTON (CNS) — The word of God and the Catholic Church need each other, Cardinal Daniel N. DiNardo of Galveston-Houston told attendees at the National Catholic Bible Conference. 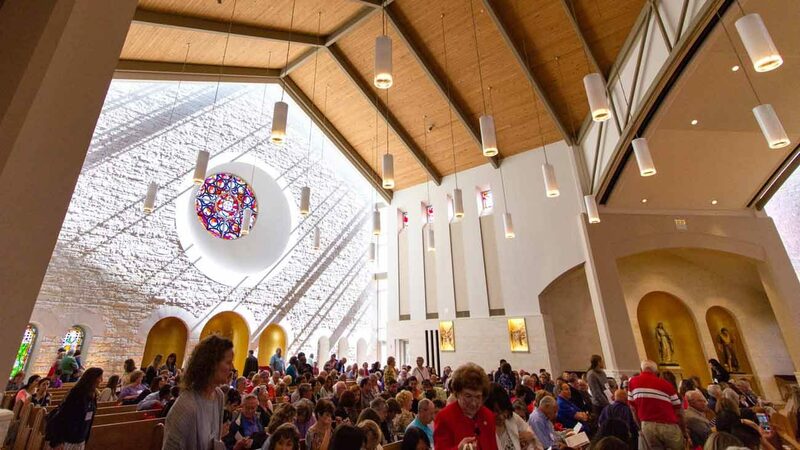 “The word of God must increase within the whole church,” he said in his homily at a Mass at St. John Vianney Catholic Church during the May 5-6 conference. “Hearing the word of God out loud at church (calls) for us to participate in community,” he added. “The Liturgy of the Word feeds us to get us hungry for the Eucharist,” Cardinal DiNardo said. The 1,300 conference attendees came from three countries and 35 states. At least 66 men and women religious also attended, joining catechetical leaders, teachers, ministers and lay Catholics all gathered to hear from biblical scholars and better understand the Bible and how to apply Scripture to daily life. John Bergsma, a theology professor at the Franciscan University of Steubenville, Ohio, encouraged the faithful to be disciples of Christ, sharing his journey and experience as a convert to the Catholic faith. Bergsma noted that there were at least three converts on that weekend’s conference speaking team. Father Mike Schmitz shared how to listen to a homily, highlighting the importance of understanding God’s gifts in our lives. 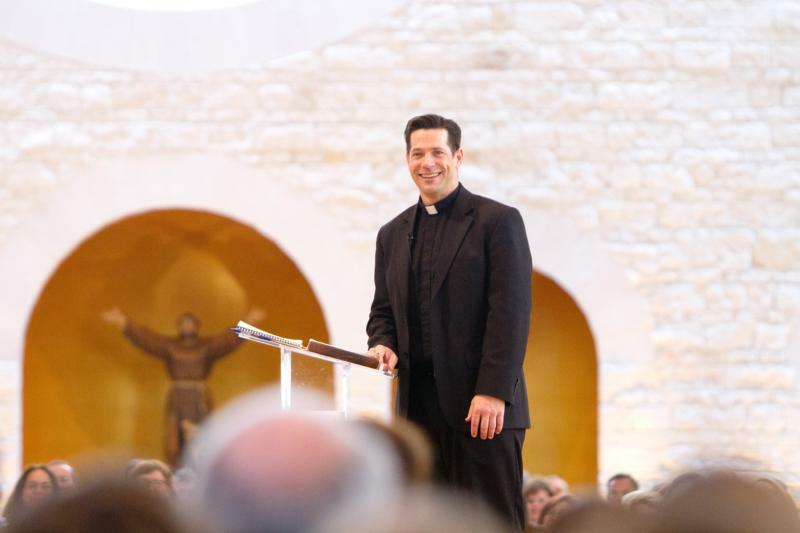 Father Schmitz, chaplain for Newman Catholic Campus Ministries at the University of Minnesota-Duluth and known for his “Ascension Presents” online video series, reminded the attendees that they are “qualified by Christ” and not by their gifts. “We should not say to God, ‘Give us more!’ but rather, ‘Am I willing to use the gifts I’ve been given? '” Father Schmitz said. “We may go and do Catholic things, but we need prayer,” Sri said, speaking to the heart of those who work for the church. The choice to make time for a daily conversation with Jesus in quiet and solitude, for prayer, is the real heart of the spiritual life, he said. Christie Peters, a Fort Bend County public school teacher who attends St. Laurence Catholic Church in Sugar Land, said the conference was a unique opportunity to learn from biblical scholars. Though she studied Scripture while attending Catholic high school, Peters said she hadn’t formally had a chance to study since that time, she told the Texas Catholic Herald, Galveston-Houston’s archdiocesan newspaper. She also was eager to hear the speakers share the Catholic perspective on the Bible, especially since she helped with Protestant ministries in college. “There is that reputation that Catholics don’t know the Bible very well,” she said, but she appreciated the attitude toward working with other churches in learning more about the Bible.